80% of tooth decay in children occurs due to debris trapped in vulnerable areas (pits, fissures, and grooves), which are hard to clean with a toothbrush or dental floss. Dental sealants fill these vulnerable areas to prevent the debris from getting trapped and accumulated. A dental sealant is a thin film of clear plastic, which is used to coat pits, fissures, and grooves present on the chewing surface of back teeth or molars. It creates a smoother and regular tooth surface, which is easier to clean and also more resistant to debris accumulation. Mostly, children get their teeth sealed but people of all age can take advantage of dental sealants to protect their teeth against caries and cavities. The teeth are thoroughly cleaned to remove any sign of plaque and trapped food particles. It is essential to perform this step because dental sealants bond easily to clean teeth. An etching gel is painted on the tooth's surface and is left on for 20 to 60 seconds. It roughens the surface, which allows the sealant to bond well with the tooth. 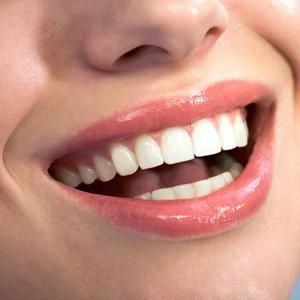 The gel also has anti-bacterial properties that help in killing bacteria present in the grooves and fissures of teeth. The gel is washed off and an air gun is used to blow dry the tooth. Your dentist will assess the result of etching. The etched tooth should look white and frosty after dissolving some mineral content from the enamel. The dental sealant is then applied on the surfaces of teeth prepared to receive the sealant. A curing light is used to harden the sealant. After the sealant has been successfully placed, your dentist will evaluate your bite to determine whether the sealant has altered your bite or not. 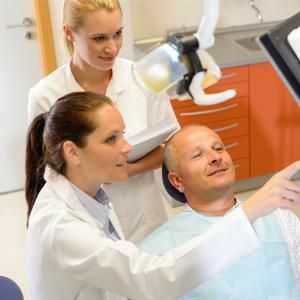 If the dental sealant hampers the way your teeth come together, your dentist will thin the sealant layer to make sure there are zero anomalies. It is important to note that during the procedure the teeth that are to be sealed are isolated using a gingival dam. It is essential for these teeth to be free from bacteria, present in saliva, while the sealant is being applied. We, at LaCanne Family Dental, Menominee, provide for all your needs pertaining to dental services and routine exams. Our dentists with their entire team persist to present you with exceptional treatment that enhances and maintains the beauty of your smile. If you have any further question, queries or dental emergencies and are looking for an accomplished dentist, feel free to contact us at (906) 352-4100 to schedule an appointment.